An international forum for research, theory and debate on the comparative politics and political economy of contemporary Europe within and beyond the European Union, the processes of European integration and enlargement and the place of Europe and European states within international/global political and economic dynamics. A research journal devoted to the history of the communist era in Central and Eastern Europe. "Forum" aims to bridge the gap between Eastern and Western scientific communities. Its editors translate and publish documents and articles from central and Eastern European scientists, especially concerning new findings from the archives in Prague, Budapest, Moscow, Warsaw and other cities. 'Political Religion' is a hybrid discipline situated at the nexus of religious, social, historical, cultural, and ideological studies. 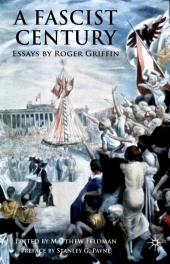 It is the study of how, responding to the tradition-eroding conditions of globalizing modernity, religions can be melded into secular ideological forces and secular ideologies synthesised into 'sacred' causes, often experienced by their protagonists with the intensity of an absolute belief. The journal engages in serious, scholarly exploration of the forms, representations, meanings, and historical influences of radical social movements. With sensitivity and openness to historical and cultural contexts of the term, we loosely define 'radical,' as distinguished from 'reformers,' to mean groups who seek revolutionary alternatives to hegemonic social and political institutions, and who use violent or non-violent means to resist authority and to bring about change. The journal is dedicated to the analysis of political ideology both in its theoretical and conceptual aspects, and with reference to the nature and roles of concrete ideological manifestations and practices. The journal serves as a major discipline-developing vehicle for an innovative, growing and vital field in political studies, exploring new methodologies and illuminating the complexity and richness of ideological structures and solutions that form, and are formed by, political thinking and political imagination. Concentrating on the period extending roughly from 1860 to the present, the journal focuses on the methodological, archival, and theoretical exigencies particular to modernist studies. It encourages an interdisciplinary approach linking music, architecture, the visual arts, literature, and social and intellectual history. 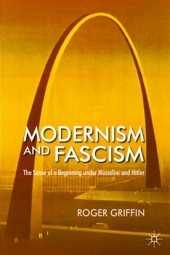 The journal's broad scope fosters dialogue between social scientists and humanists about the history of modernism and its relations tomodernization. A forum for exploring the historical roots and contemporary varieties of social exclusion and the demonization or stigmatisation of the Other. It probes the language and construction of 'race', nation, colour, and ethnicity, as well as the linkages between these categories. It encourages discussion of issues at the top of the public policy agenda, such as asylum, immigration, hate crimes and citizenship. 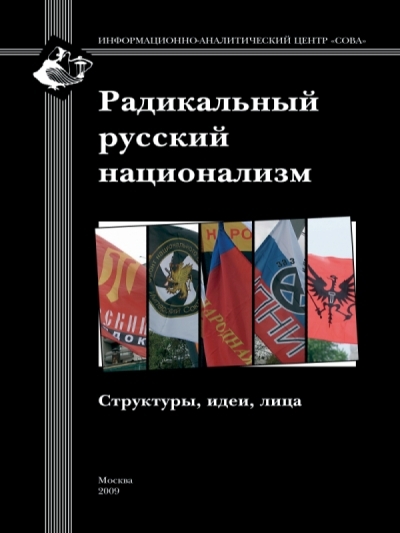 A major academic journal of Russian studies. 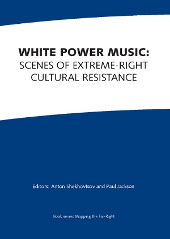 It publishes scholarly articles and book reviews in the areas of history, literature, film, fine arts, culture, society, and politics of the peoples of Russia. 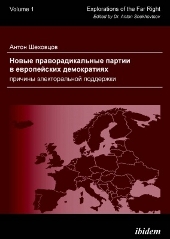 The journal covers political and social issues in Western Europe. 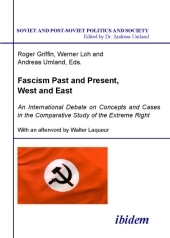 Its comprehensive scope, embracing all the major political and social developments in all West European countries, including the European Union, makes it essential reading for both political practitioners and academics. A Research Group, based at the University of Northampton, inviting academic researchers, practitioners and civil servants (particularly the police and others concerned with community cohesion) to compare experiences and develop collaborative enterprises in the analysis of new media and radicalism, particularly as it relates to the contemporary UK. The Company’s Academic Service specializes in web-casting academic conferences, symposia, public lectures, workshops and seminars in order to further the dissemination of academic research. An independent, scholarly association which supports and encourages the training, research and cross-national cooperation of political scientists in nearly 300 institutions throughout Europe and beyond. The Standing Group provides a platform and infrastructure to the broad range of scholars working on various aspects of 'extremism and democracy' around the world. The main focus of the Standing Group is on the political aspects of extremism. 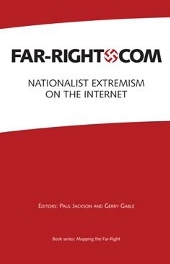 Although the term 'extremism' is used, scholars working with other terms to describe similar phenomena (such as fascism, fundamentalism, populism, radicalism, terrorism, etc.) are also welcome. This website/mailing group is designed as a forum of scholarly exchange for students, researchers, journalists and others interested in the history and current permutations of Russian right-wing thought and politics. The Pulse-Project offers a wide range of freely accessible audio and video lectures for both general and specialised audiences, and delivered by eminent academics. It hopes to reflect and inform debates amongst academics, students, and the wider public alike, and to thereby engage with the formative scientific questions of our time. The project moves beyond ideology, political programmes, and voting patterns in order to examine views of the nation and Russianness among ordinary Russians, and to explore how far these may be traced back to the late Soviet era. The central themes are 'tradition' that means cultural memory, a self-consciously recognised relationship with the past, and 'deterritorialisation', which refers to the stresses placed on national and personal identity by migrancy, travel, and emigration. The Moscow-based Russian non-profit organisation that conducts informational and research work on such topics as nationalism and xenophobia, relations between the secular society and churches, and political radicalism.